Peterson’s sander disc is ideal for adding the finishing touches on your high-end products like beams and slabs, leaving a fabulous almost-gloss finish. 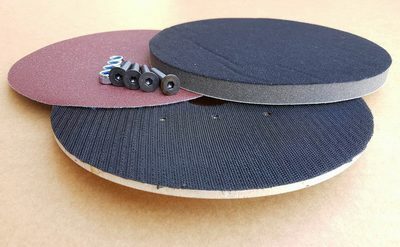 The sander disc kit includes a range of sandpaper grits and is designed to fit standard sandpaper discs available at your local hardware store. 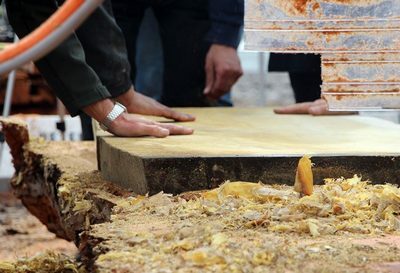 The first step towards a splinter-free finish is to use the Peterson planer blade to smooth the slab or beam to a flat, even surface. When you’re ready to sand, it will only take a few minutes to bolt the sander head on and velcro your grit in place. Let your sawmill do the hard work with Peterson’s sander disc kit and planer blade!